Safeguard against competition from your client’s payroll and retirement plan provider. 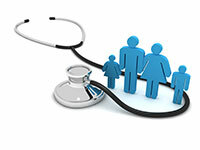 Navigating through all the new information on Healthcare Reform can prove challenging to employers and their employees. At HowardSimon, we continuously support our clients by providing them with important information affecting their business. The Affordable Care Act (ACA) implements changes that will undoubtedly alter how many businesses handle healthcare coverage. We consolidated important points to assist you in understanding the healthcare reform and will diligently update information as changes go into effect. The Affordable Care Act requires reporting the cost of healthcare coverage through an employer's group plan on the W-2s of employees, however does not make the coverage taxable. A transition relief for reporting continues to be in place for eligible employers, including those filing fewer than 250 Forms W-2 for the previous calendar year. The transition relief continues until the IRS publishes additional guidance. For more information, including a complete list of transition relief eligibilty requirements for employers, visit Employer-Provided Health Coverage Informational Reporting Requirements: Questions and Answers on the IRS. Tracking employee hours became more essential than ever due to the Affordable Care Act (ACA). Employees working over 30-hours per week or 130-hours per month will qualify for employer-sponsored “affordable” healthcare. Subsequently, failure to properly track employee hours can result in tax penalties/payments or disqualify a business for available tax credits. Employers must validate full-time and full-time equivalent employee counts and employee hours (weekly or monthly) to the IRS. Implementing automated time and attendance systems protects employers and should be put into place immediately (if not already in use). Time and attendance systems offered by HowardSimon can be implemented through the web, or a combination of physical clocks, voice clocks, swipe cards, biometric verification and web access. Employers with fewer than 50 employees are exempt from new employer responsibility policies, meaning they will not have to pay an assessment if their employees get tax credits through an exchange. A premium tax credit will be available to help individuals or families to afford health coverage purchased through the exchange. A small business may qualify for a tax credit of up to 50% (up to 35% for non-profits) to reduce insurance costs. In order to qualify, the business must have fewer than 25 employees. The Early Retiree Reinsurance Program offers financial assistance to employer-based plans that provide health insurance to retirees ages 55-64, with the objective of lowering the cost of premiums for all employees and reducing employer health costs. Beginning in 2014, the new health insurance marketplace becomes available to small businesses with fewer than 50 employees through the Small Business Health Options Program (SHOP). To reduce the high administrative costs that small businesses incur with health insurance, the SHOP marketplace offers quality coverage at a lower cost than currently available. The SHOP program aims to simplify finding healthcare for small businesses. Eligible employers must offer SHOP coverage to all full-time employees and have an office located in the service area of the SHOP in order to enroll. Control Over the Level of Coverage: Employers will decide on the level of coverage offered and define their contribution towards employees’ coverage. Access to Tax Benefits: In addition to the Small Business Healthcare Tax Credit covering as much as 50% of eligible employer contribution towards premium costs, other tax breaks become available when insurance is obtained through the SHOP. New Consumer Protections: New limits protect businesses with older employees from being charged higher premiums. Group premiums no longer increase with a high healthcare cost employee. Profits and administrative costs incurred by insurers’ will also be restricted. Private Companies Managing Insurance Plans: Private insurance companies will run the health insurance plans available in SHOP, offering all the same benefits of standard employer plans. All information regarding plan cost and coverage will be simply worded and concise in order to easily compare plans. Choice of Broker or On Your Own: Selecting a plan through the SHOP can be done individually or through the use of a broker. The marketplace design allows easy plan viewing and comparison shopping. Alternatively, you can access the SHOP with your existing broker. The Affordable Care Act (ACA) requires large businesses to adapt to new healthcare reforms. A business with 50 or more full-time or full-time equivalent employees is considered a large business. The most significant provisions directly affecting these businesses involve “Employer Shared Responsibility” and W-2 reporting. What is Employer Shared Responsibility? Starting in 2015, employers with 50 or more full-time or full-time equivalent (FTE) employees must provide affordable, adequate health insurance for full-time employees and dependents. The provision defines a full-time employee as an individual employed an average of 30+ hours per week. If at least 1 of their full-time employees is certified to receive a premium tax credit in an individual health insurance marketplace, the employer may be required to pay an assessment. A premium tax credit is available to help individuals or families to afford health coverage purchased through the exchange. Reliable time & attendance systems offer the safest and most efficient way to track employee hours and determine the total number of full-time or full-time equivalent employees. It’s important to note that large employers (over 50 full-time or FTE employees) will be required to report six consecutive months of labor records for 2013 to the IRS. © HowardSimon & Associates. All Rights Reserved.